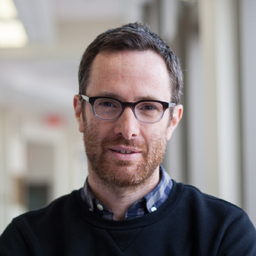 Simon Drouin is a Postdoctoral Fellow in the Surgical Planning Laboratory at the Brigham and Women’s Hospital and Harvard Medical School in Boston, MA. He completed his Phd in the NeuroImaging and Surgical Technologies (NIST) lab. He is also the original developer of IBIS, NIST’s Image-Guided Neurosurgery(IGSN) platform. Before starting a Phd, he developed custom software tools for the production of stereoscopic animation films at the National Film Board of Canada (NFB), spent 2 years developing the Sandde stereoscopic animation system, completed a masters degree in computer science in the Mobile Robotics Lab of the Centre for Intelligent Machines at McGill University, developed innovative animation creation tools and game engine modules for Ubisoft Entertainment inc. and completed a bachelors degree in Computer Engineering at École Polytechnique de Montréal. Simon’s research interests revolve around the intersection of visualization, computer vision and human computer interaction. More specifically, he is interested in using basic computer vision methods to develop new ways of interacting with graphics on a computer, taking into account principles of human visual perception. In his spare time, Simon develops Lines, an experimental collaborative drawn animation program. Étienne Léger, Simon Drouin, D. Louis Collins, Tiberiu Popa, and Martal Kersten-oertel (2017) “Quantifying Attention Shifts in Augmented Reality Image-Guided Neurosurgery“. IET Healthcare Technology Letter. Drouin S, Kochanowska A, Kersten-Oertel M, Gerard IJ, Zelmann R, De Nigris D, Bériault S, Arbel T, Sirhan D, Sadikot AF, Hall JA, Sinclair DS, Petrecca K, DelMaestro RF, Collins DL (2016) “IBIS: an OR ready open-source platform for image-guided neurosurgery”. International Journal of Computer Assisted Radiology and Surgery, Volume 12, Issue 3, pp 363–378. Yiming Xiao, Charles Xiao Bo Yan, Simon Drouin, Dante De Nigris, Anna Kochanowska, D Louis Collins (2016) “User-friendly freehand ultrasound calibration using Lego bricks and automatic registration“. International Journal of Computer Assisted Radiology and Surgery, Volume 11, Issue 9, pp 1703–1711. Simon Drouin, Marta Kersten-Oertel, D. Louis Collins, (2015) “Interaction-Based Registration Correction for Improved Augmented Reality Overlay in Neurosurgery”. Augmented Environment and Computer Assisted Intervention (AE-CAI 2015) – Lecture Notes in Computer Science, Volume 9365, pp 21–9. Marta Kersten-Oertel, Ian J Gerard, Simon Drouin, Kelvin Mok, Denis Sirhan, David Sinclair, D. Louis Collins, (2015) “Augmented Reality for Specific Neurovascular Tasks“. Augmented Environment and Computer Assisted Intervention (AE-CAI 2015), Lecture Notes in Computer Science, Volume 9365. Marta Kersten-Oertel , Ian Gerard, Simon Drouin, Kelvin Mok, Denis Sirhan, David S. Sinclair, D. Louis Collins, (2015) “ Augmented reality in neurovascular surgery: feasibility and first uses in the operating room”, International Journal of Computer Assisted Radiology and Surgery, Volume 10, Issue 11, pp 1823–1836. Marta Kersten-Oertel, Ian Gerard, Simon Drouin, Kelvin Mok, Denis Sirhan, David Sinclair, D. Louis Collins, (2014) “Augmented Reality in Neurovascular Surgery: First Experiences”. Augmented Environments for Computer-Assisted Interventions, Lecture Notes in Computer Science, Volume 8678, pp 80–89. S. Bériault, A. F. Sadikot, F. Alsubaie, S. Drouin, D. L. Collins, and G. B. Pike, (2014) “Neuronavigation using susceptibility-weighted venography: application to deep brain stimulation and comparison with gadolinium contrast”, Journal of Neurosurgery, Vol. 121, no 1, pp 131-141. Marta Kersten-Oertel, Simon Drouin, Sean J. Chen, D. Louis Collins, (2013) “Volume Visualization for Neurovascular Augmented Reality Surgery”, Proceedings of the MICCAI workshop on Augmented Reality Environments for Medical Imaging and Computer-Assisted Interventions (MIAR 2013), Lecture Notes in Computer Science Volume 8090, pp 211–220. Silvain Bériault, Simon Drouin, Abbas F. Sadikot, Yiming Xiao, D. Louis Collins, G. Bruce Pike, (2012) “A Prospective Evaluation of Computer-Assisted Deep Brain Stimulation Trajectory Planning”, Proceedings of the MICCAI Workshop on Clinical Image-based Procedures: From Planning to Intervention (MICCAI CLIP), Lecture Notes in Computer Science Volume 7761, pp 42–49. Sean Jy-Shyang Chen, Marta Kersten-Oertel, Simon Drouin, D. Louis Collins, (2012) “Visualizing the path of blood flow for image guided surgery of cerebral arteriovenous malformations”, Proc. SPIE 8316, Medical Imaging 2012: Image-Guided Procedures, Robotic Interventions, and Modeling. Simon Drouin, Marta Kersten-Oertel, Sean Jy-Shyang Chen, D. Louis Collins, (2012) “A Realistic Test and Development Environment for Mixed Reality in Neurosurgery”, Augmented Environments for Computer-Assisted Interventions, Lecture Notes in Computer Science Volume 7264, 2012, pp 13–23. Marta Kersten-Oertel, Sean Jy-Shyang Chen, Simon Drouin, David S Sinclair, D. Louis Collins. (2012) “Augmented reality visualization for guidance in neurovascular surgery”, Studies in Health Technology and Informatics volume 163, Proceedings of MMVR, pp 225–229. Mercier, L., Del Maestro, R., Petrecca, K., Kochanowska, A., Drouin, S., Yan, C.X.B., Janke, A.L., Chen, S.J., Collins, D.L., (2011) “New prototype neuronavigation system based on preoperative imaging and intraoperative freehand ultrasound: System description and validation”, International Journal of Computer Assisted Radiology and Surgery, 6(4), pp 507–522. Ingerid Reinertsen, Maxime Descoteaux, Simon Drouin, Kaleem Siddiqi, D. Louis Collins, (2004) “Vessel Driven Correction of Brain Shift”, Medical Image Computing and Computer-Assisted Intervention – MICCAI 2004, Lecture Notes in Computer Science, Volume 3217, pp 208–216.